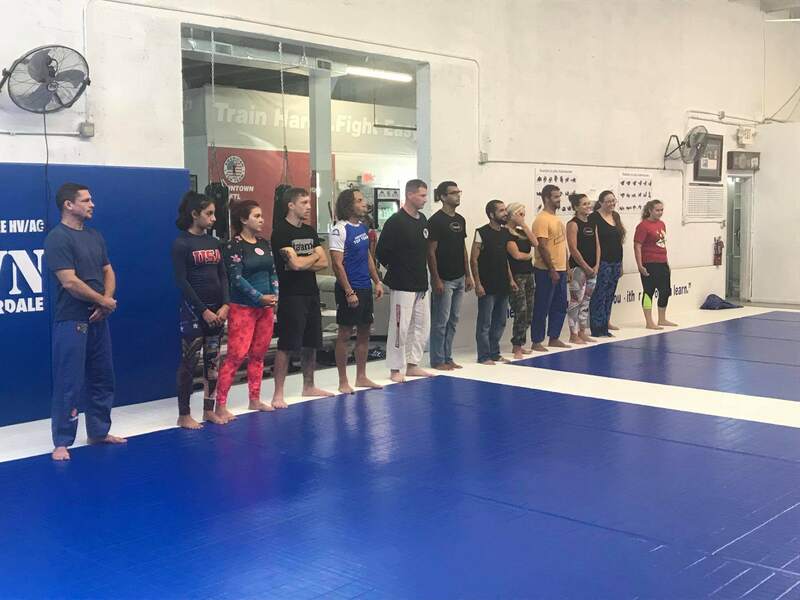 On Sunday, September 23rd, American Top Team Fort Lauderdale had a great free self defense class with Master Carlos Sapão. He is the CEO of CS Jiu-Jitsu self defense and the head instructor at CS Jiu-Jitsu in San Francisco, California. He is a third degree black belt under Ralph Gracie, with a 28 years experience in learning Jiu-Jitsu, 2 times World Champion, 2 times PanAmerican Champion, 5 times Brazilian National Champion. Among other titles, Master Carlos Sapão is well-know for his impassable guard, which means that in 20 years of competition, no one has ever passes his guard. 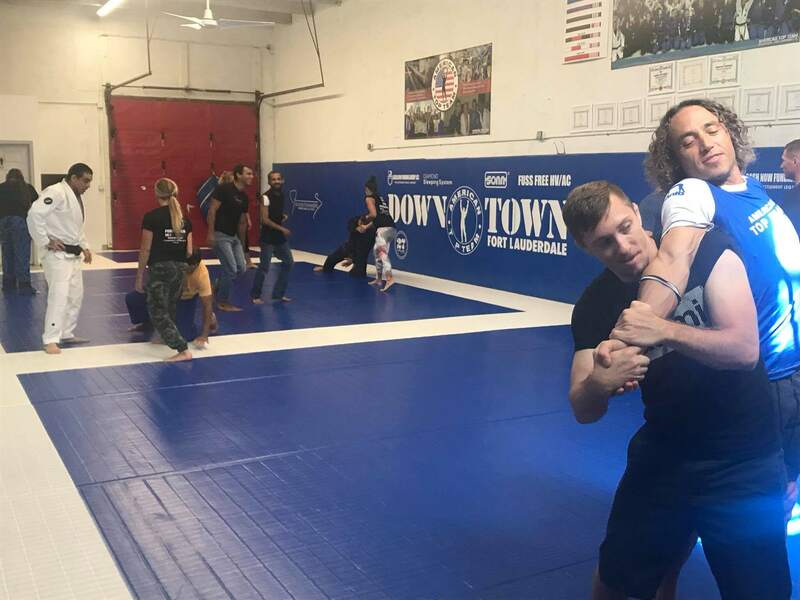 Nowadays, Master Carlos Sapão is dedicated to teaching Jiu-Jitsu self defense for those practitioners who want to learn not Just jiu-jitsu as a sport but also the gentle art. Master Junior Fernandes and Master Carlão Sapão know each other since they were little white belts in Brazilian Jiu-Jitsu. They used to train together at a gym located in Barra da Tijuca, which is a neighborhood in Rio de Janeiro city, Brazil. Brazilian Jiu-Jitsu keeps their friendship alive since then. American Top Team Fort Lauderdale is very glad to have had the opportunity to learn from this legend in Brazilian Jiu-Jitsu self defense. The free self defense class took place in our facilities and demonstrations and practices were really amazing to learn more about different techniques and how to protect ourselves against any situation that may bring harm to us. The need of learning self defense grows every day and being able to protect yourself in all situations is good for self confidence too. American Top Team Fort Lauderdale believe in the power of knowledge and practice when it comes to self defense. Some of the advantages to learn self defense are that it builds confidence developing abilities, it works on your balance improving your focus, it helps develop self-discipline keeping practicing and showing up for the classes, it helps you improve your physical conditioning as your body is constantly moving, it improves your street awareness having good reactions, it teaches you self respect, it helps to develop a warrior spirit, it helps you develop a fighters reflex, it will help you with goal setting and in general it has a positive influence in your life. Next time don’t miss out the opportunity to join us in this amazing experience. We recommend you to come every time you can because this kind of extra efforts will lead you to be a better fighter and a better human being. 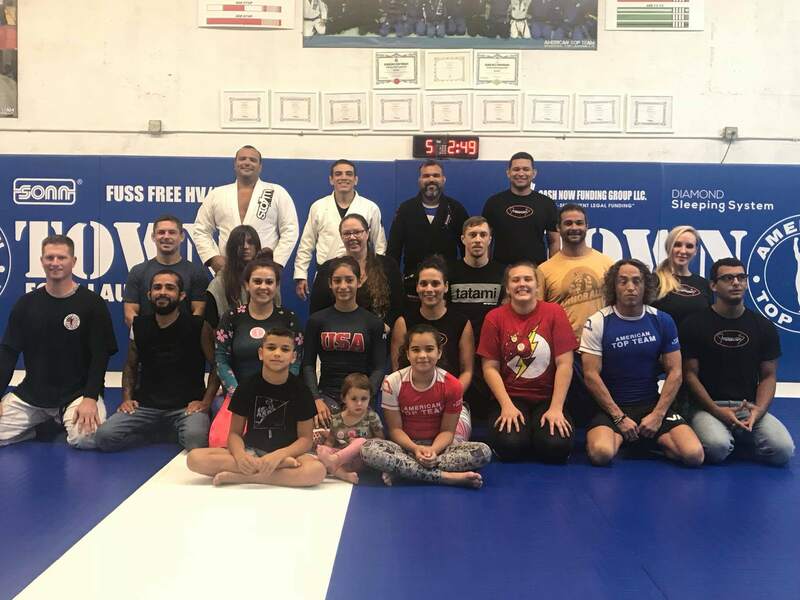 Below you will find some pictures and videos from the event here at American Top Team Fort Lauderdale, that was really a great success among the participants.